It all started in the break room at Infinite Discs…we’d just looked over a new stamp design by our favorite stamp artist, NEOmi-triX, and a couple of us were really excited about it– a stamp concept called the “Infinite Aztec”. But there wasn’t complete agreement on its appeal. We’ll just say that a couple of the younger members of the crew thought that Aztec art was, after all, very old-fashioned. They wanted something newer and more hip. To cut a long story short, it was argued that any disc with a cool cat on it would be more popular than Aztec art. The argument became heated enough that we decided on a stamp duel. We’d do a run of both stamps on popular disc models from Innova, with the same quantities of the same molds for each stamp. Then we’d let the disc golfers and collectors decide which was more appealing. Which ever sold the fastest would be the winner. Then we’d take that winning stamp on to other disc models from Dynamic Discs, Discmania, Gateway, and other popular brands. The losing stamp, on the other hand, would be banished. Once the remaining discs were sold, it would never be seen again. The original kitty concept was to have an over-the-top, cute kitty drinking from a bowl of milk. NEOmi-triX sent us a sketch of the original idea, which, when we looked at it, caused many laughing fits around the office. It wasn’t a finished piece and was missing things like whiskers and tufts of fur. It looked a bit like a pug, or a guinea pig. 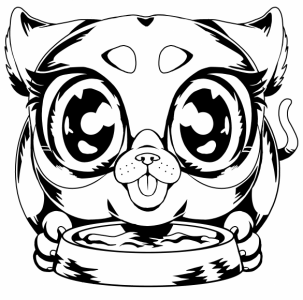 The stamp design changed vastly from that point, with the members of “team kitty” turning to a much tougher cat concept, rather than a cute kitty. 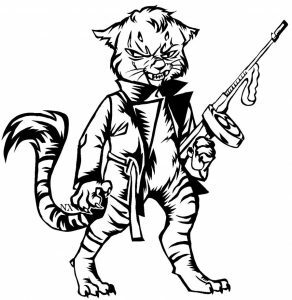 A Tommy gun was added, changing the name to “Tommy Cat” and the cat eventually took over an entire cityscape before being fine-tuned into the finished design that focused entirely on the mafia-influenced cat. FIVE free discs will be given away to disc golfers who take a side, and join one of the Facebook groups. Only the winning team will earn free discs, so choose wisely. The winning stamp design will be decided at the end of February. Whichever stamp has sold the most will be declared the winner. Future stamp runs for the winner will carry into the spring and summer months. So this is where customers will ultimately decide which stamp will carry on, and which will be forgotten. You can search and shop for special edition stamps by using the Advanced Disc Search feature on the Infinite Discs website. Check the “extras” box and then scroll through the list of stamps and check the ones you want to see, then click the “View Individual Discs” button to see all the discs in stock with the stamp you desire. Click Here for a more extensive tutorial. By using that Advanced Disc Search feature, you can also track which of the two stamps is selling fastest, simply by comparing how many discs are left of each. When you check-mark one of them, the number of discs remaining will appear to the right. Whichever one is lower, that is the one that has pulled ahead in our stamp duel. HAVE FUN and CHOOSE WISELY! When I was a boy about 3 or 4 my favorite toy was a little white cat, and you can probably understand why — they are so cute with their whiskers, and their big adorable eyes. Then one day, the old lady who lived next door died. A family with cats moved into her house and then I discovered what they REALLY ARE. I thought I loved cats, but when I went to pet the black and white one named Sister, it viciously scratched me on the arm. I still have scars from that nasty kitty. As I grew older I began to realize their greater evil. Every time I am around cats, my eyes water, I sneeze uncontrollably, my eyes swell up, and I get hives. Just this morning as I walked into my garage to leave for works, I noticed an awful smell in my garage. And as I opened the garage door, I saw the culprit. I saw the cat tracks. Now some of the marketing team at Infinite Discs have inserted these menacing beasts on Innova golf discs! To make matters worse, they’ve given him a GUN, a tool designed specifically for killing. This is not a message we want to send to our children and future generations. We can do something to prevent this stamp from spreading like feral cats in the alley to Trilogy, Discraft, Prodigy, Gateway, Legacy, MVP, and VIBRAM. To stop the insanity, we must choose Team Aztec. Please, make the RIGHT choice. Join TEAM Aztec. So, the solemn responsibility of defending the honor of the Tommy Cat stamp has fallen upon my shoulders. It is a weight that I bear with pride and dignity. As I look at this war that has begun and tore apart our Infinite Discs family, the words of the great Don Vito Corleone, “How did things ever get so far?” and just like the Godfather, I don’t know. It seems as though the only argument that team Aztec can come up with is, “Well, I don’t like cats.” Well, I stand here before you all, and I can say with confidence, I do not like cats, but I am a proud member of team Tommy Cat. Are cats my first choice for a house pet? Just ask my parents how I greet their cats every time I go home to visit and you will know the answer. But does that change the cultural phenomenon that cats have become in our society? Just ask our friends at Dynamic Discs which Dyemax designs are the best sellers. Cats are in right now. It is a fad that has taken novelty t-shirts by storm. It is a fad that has even tugged on my heart strings and wallet a few times–yes even I, one who has long held felines in contempt. It is a fad that unifies us all in a love for all things cute, funny, and adorable, but also appeals to the strong and fierce. And it is a fad that we at Infinite Discs would have been fools to allow to pass us by. I believe if we had kept this campaign free of propaganda and lobbyists, the numbers would have spoken for themselves, and the Tommy Cat would have blown the Aztec out of the water. So I stand here today not to change your hearts, but to search your hearts more honestly, and discover what you already know. The Tommy Cat stamp design put together by our talented artist is too good and too pure for us to allow it to fall out of production. This cat deserves to fly for years to come. 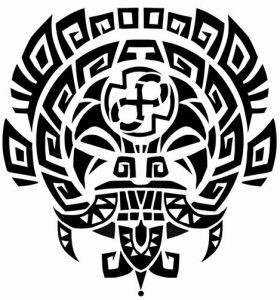 And while I do respect the Aztec design, it does not sway the heart with the same emotional vigor that is contained in the Tommy Cat. So let us unite together, to send a message once and for all that bold and powerful stamp designs like the Tommy Cat is what we want to see in our future. Thank you for your time, and I look forward to seeing the voice (purchases) of the people guide us in the following weeks.